Subscribe to get deals from hundreds of merchants including the best of Agoda! This offer runs from 24-30th March 2019. Enter the promo code at the checkout to enjoy the offer. Get the deal.. Please always check with the merchant on the validity of the promotion before purchase. This offer runs from 10-23rd April 2019. Enter the promo code at the checkout to enjoy the offer. Get the deal.. Please always check with the merchant on the validity of the promotion before purchase. This offer begins on 16-22nd April 2019. Enter the promo code at the checkout to enjoy the offer. Get the deal. Please always check with the merchant on the validity of the promotion before purchase. This offer runs from 18th April to 1st May 2019. Enter the promo code at the checkout to enjoy the offer. Get the deal.. Please always check with the merchant on the validity of the promotion before purchase. This offer runs from 1st January to 31st December 2019. Stay period 1st January 2019- 31st March 2020. Applicable to CIMB Credit Cards. The Promotion is non-transferable, non-cumulative and cannot be exchanged for cash or other products. Promotion cannot be used in conjunction with any other promotions, discount cards, loyalty programs, vouchers, discounted items, and fixed price items. Get the deal.. Please always check with the merchant on the validity of the promotion before purchase. This offer runs from 1st January to 31st December 2019. Stay period is 1st January to 31st March 2020. Applicable to booking with UOB Platinum, Lady’s Solitaire, Visa Infinite, and YOLO Credit Cards. Get the deal.. Please always check with the merchant on the validity of the promotion before purchase. This offer runs from 1st January to 31st December 2019. Stay period 1 January 2019 – 31 Mar 2020. Applicable to Debit and Prepaid Cards Get the deal.. Please always check with the merchant on the validity of the promotion before purchase. Get 8% OFF Thailand, Singapore hotel bookings, applicable to all RHB Bank cards. This offer begins on 01 April – 30 April 2019. Stay period 01 April 2019 – 31 March 2020. The Promotion entitles you to the discount on hotel room charges (excluding local taxes and service fees) and can be redeemed for Agoda hotel bookings made on this website. Promotion is non-transferable and non-cumulative and may not be combined with other offers, rewards, or loyalty programs. Get the deal.. Please always check with the merchant on the validity of the promotion before purchase. Booking Period: 16 March 2019 – 31 December 2019. Stay Period: 16 March 2019 – 31 March 2020. Payment must be made with a Maybank Visa, MasterCard®, American Express® Credit, Charge or Debit Card. Promotions cannot be exchanged for cash or other products. Get the deal.. Please always check with the merchant on the validity of the promotion before purchase. This offer runs from 1 Sept – 31 Oct 2019. Stay period 1 Sept 2019 – 31 Mar 2020. Get the deal.. Please always check with the merchant on the validity of the promotion before purchase. This offer runs from 1 Apr – 30 May 2019. Stay period 1 Apr 2019 – 31 Mar 2020. Promotion cannot be exchanged for cash or other products. Get the deal.. Please always check with the merchant on the validity of the promotion before purchase. This offer runs from NOW – 31 Dec 2019. Stay period NOW – 31 Mar 2020. The Promotion is available to the qualifying and eligible card members of RHB issued in Malaysia. Valid with payment using RHB cards only. The Promotion entitles you to the discount on hotel room charges (excluding local taxes and service fees) and can be redeemed for Agoda hotel bookings made on this website. The Promotion is non-transferable and non-cumulative and may not be combined with other offers, rewards, or loyalty programs. Get the deal.. Please always check with the merchant on the validity of the promotion before purchase. This offer runs from NOW – 31 Dec 2019. Stay period NOW – 31 Mar 2020. The Promotion is available to the qualifying and eligible card members of RHB issued in Malaysia. Valid with payment using RHB cards only. Get the deal.. Please always check with the merchant on the validity of the promotion before purchase. Valid for bookings made from 16 March 2019 to 31 December 2019, for stay period from 16 March 2019 to 31 March 2020. Promotions are applicable to hotel room charges only, excluding local taxes, service fees, and any other additional charges. Promotions cannot be exchanged for cash or other products. Get the deal.. Please always check with the merchant on the validity of the promotion before purchase. This offer runs from 01 April – 30 April 2019. Stay period 01 April 2019 – 31 March 2020. The Promotion is available to the qualifying and eligible card members of Citi Cards issued in Malaysia. Valid with payment using Citi cards only. The Promotion is non-transferable and non-cumulative and may not be combined with other offers, rewards, or loyalty programs. Get the deal.. Please always check with the merchant on the validity of the promotion before purchase. Agoda offers 5% OFF for all destinations on selected Citibank Cards. This offer expires on 31st December 2019. These cards are Citi Simplicity, Citi Clear, Citi Choice, Citi Gold, Citi Silver Citi Cash Back, Shell-Citi & Air-Asia-Citi Gold cards. Get the deal.. Please always check with the merchant on the validity of the promotion before purchase. Agoda offers 7% discount on all destinations, applicable to booking with all HSBC Credit Cards. Booking period:1 Jan – 30 Apr 2019. Stay period: 1 Jan – 30 Jun 2019. Get the deal.. Please always check with the merchant on the validity of the promotion before purchase. Agoda offers 7% off on all destinations, applicable to booking with all HSBC Credit Cards. This offer runs from 1 May – 31 Dec 2019. Stay period:1 May – 31 Mar 2020. Get the deal.. Please always check with the merchant on the validity of the promotion before purchase. This offer runs from 1st January to 31st December 2019. Stay period 1st January to 31st March 2020. Valid on use of AmBank Platinum Credit Card/AmBank Islamic Platinum Credit Card-i and above. The promotion cannot be exchanged for cash or other products. Get the deal.. Please always check with the merchant on the validity of the promotion before purchase. This offer runs from 1st January to 31st December 2019. Stay period 1st January to 31st March 2019. Applicable to AmBank Debit Mastercard® or AmBank Credit Card/AmBank Islamic Credit Card-i. Get the deal.. Please always check with the merchant on the validity of the promotion before purchase. This offer runs from 1st January to 31st December 2019. Stay period is 1st January to 31st March 2020. Applicable to booking with UOB Classic and Gold Credit and Debit cards. Get the deal.. Please always check with the merchant on the validity of the promotion before purchase. Agoda offers 7% OFF for all destinations using selected Citibank cards. This offer expires on 31st December 2019. These cards are Citi Prestige, Citi Premier Miles, Citi Platinum, Citi Rewards Platinum, Citi Business Platinum, Citi Business Signature, Citi Cash Back Platinum, Citi Travel Account & Air-Asia-Citi Platinum cards. Get the deal.. Please always check with the merchant on the validity of the promotion before purchase. Agoda offers 5% off on Hotel Bookings worldwide with OCBC Bank Cards. This offer runs from 1 Oct 2018 – 30 Jun 2019. Valid on Website and Mobile App. The Promotion discount is applicable to hotel room charges only (excluding local taxes, service fees, and additional charges).. The Promotion cannot be exchanged for cash or other products. Get the deal.. Please always check with the merchant on the validity of the promotion before purchase. This offer is an ongoing promotion. Enjoy accommodations at affordable prices. Get the deal.. Please always check with the merchant on the validity of the promotion before purchase. Agoda offers an incredible 10% off on Hotel Accommodations in Krabi, Thailand. This offer is an ongoing promotion. Get the deal.. Please always check with the merchant on the validity of the promotion before purchase. This offer is an ongoing promotion. Visit this place with a guarantee of a room that suits your needs. Get the deal.. Please always check with the merchant on the validity of the promotion before purchase. This offer is an ongoing promotion. Get this amazing deal.. Please always check with the merchant on the validity of the promotion before purchase. This offer is an ongoing promotion. Enjoy accommodations at affordable prices Get the deal.. Please always check with the merchant on the validity of the promotion before purchase. Agoda offers 11% off on Hotel Accommodations in Kyoto. This offer is an ongoing promotion. Get the deal.. Please always check with the merchant on the validity of the promotion before purchase. This offer is an ongoing promotion. Get the deal.. Please always check with the merchant on the validity of the promotion before purchase. This is an ongoing promotion. Enjoy deal on bookings at affordable prices. Get the deal.. Please always check with the merchant on the validity of the promotion before purchase. Agoda offers 10% off on hotel accommodations in Koh Samut. This offer is an ongoing promotion. Get the deal.. Please always check with the merchant on the validity of the promotion before purchase. Agoda offers 11% off on Hotel accommodations in Rome. This offer is an ongoing promotion. Get the deal.. Please always check with the merchant on the validity of the promotion before purchase. Agoda offers 11% off on Hotel accommodations in Taipei. This offer is an ongoing promotion. Get the deal.. Please always check with the merchant on the validity of the promotion before purchase. Agoda offers 17% off on Hotel Accommodations to Singapore. This offer is an ongoing promotion. Get the deal.. Please always check with the merchant on the validity of the promotion before purchase. Agoda offers 11% off on Hotel Accommodations to Oahu Hawaii. This offer is an ongoing promotion. Get the deal.. Please always check with the merchant on the validity of the promotion before purchase. Agoda offers 17% off on Hotel accommodations in Ho Chi Minh City. This offer is an ongoing promotion. Get the deal.. Please always check with the merchant on the validity of the promotion before purchase. This offer is an ongoing promotion. Enjoy bookings on the prestigious yet affordable hotels all around. Get the deal.. Please always check with the merchant on the validity of the promotion before purchase. Agoda offers 8% OFF worldwide hotel bookings for all Maybank credit, debit, charge card issued except cards issued in Singapore. Booking period:15 Jan 2019 – 15 Mar 2019. Stay Period:15 Jan 2019 – 30 Jun 2019. Get the deal.. Please always check with the merchant on the validity of the promotion before purchase. Agoda offers 7% off on bookings worldwide for all CIMB Credit Cards. Booking period 1 July 2018 – 31 Dec 2018. Stay period is between 1 July 2018 – 31 March 2019. Valid for hotels that have the "Promotion Eligible" banner on the search results page. Get the deal.. Please always check with the merchant on the validity of the promotion before purchase. Agoda offers 7% off on bookings to all destinations, applicable to booking with Maybank Platinum Cards and above. Booking period is between 15 July 2018 – 31 December 2018. Stay period is between 15 July 2018 - 31 March 2019. Get the deal.. Please always check with the merchant on the validity of the promotion before purchase. Agoda offers 7% off on all destinations, applicable to booking with all HSBC Credit Cards. Offer is valid for HSBC credit cards issued in Malaysia only. Booking period is between 1 August 2018 – 31 December 2018. The stay period is 1 August 2018 – 31 March 2019. This offer expires on 31 December 2018. Get the deal.. Please always check with the merchant on the validity of the promotion before purchase. Agoda offers 7% off hotel bookings with UOB cards. The promotion is available for bookings is until 30 June 2018 for stays until 31 December 2018. Valid for Visa Infinite, Lady's Solitaire & Platinum, PRVI Mile, Preferred Platinum, ONE Platinum, YOLO cards only.. Please always check with the merchant on the validity of the promotion before purchase. The best part about living in South-East Asia, is that so many neighbouring countries are just a stone’s throw away! For example, a weekend getaway to Bali, Indonesia, has a flight time of just 2 hours and 50 minutes. 7 airlines fly directly from Kuala Lumpur, Malaysia to Bali (Denpasar), and the cheapest return price costs just RM255. Agoda is an online travel booking platform that lets you book hotel rooms, flights, and even transport from the airport to your accommodation. Established in 2005, it has 13 years of experience in the industry. 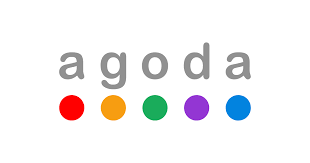 Agoda’s headquarters is situated in Singapore, and it has 53 offices in major cities over 30 countries, and over 3,700 staff worldwide, according to Agoda’s website. Their website features over 2 million accommodation properties, including apartments, villas, homes, and hotels. Agoda Malaysia has reviews displayed at the bottom of each hotel listing. These users who review hotel listings have previously stayed at the hotel. This means their reviews are credible and can definitely play an important part in helping you decide which hotel to pick! Over 15 million real traveller reviews are available on their site. For example, KSL Hotel & Resort in Malaysia has received a whopping 24,836 user reviews to date. The verified reviews on Agoda are provided by actual travellers, who are required to book and complete a stay at the property prior to reviewing it. This is Agoda’s way of ensuring that the reviews on their site are authentic, reliable and honest - which will help you make better choices while booking. After clicking the listing, Agoda Malaysia has two categories that all travellers will look out for - ‘Things you’ll love’, and ‘Best of the neighbourhood’. In this case, airport transfer, hot tub, sauna and bar are listed as some of the amenities/facilities that previous residents liked. Best of the neighbourhood, on the other hand, gives a general feel of the neighbourhood where the hotel is located. KSL Hotel & Resort is specified to be near Johor Bahru’s popular City Square Mall, and right in the heart of the city! This feature makes it much easier for visitors to get acquainted with the area that they will be staying in, even before their holiday begins. It can be difficult to decide between two similar hotels, especially when they’re in the same neighbourhood and their prices differ by a few dollars. Fret not, Agoda Malaysia has come up with a ‘compare to similar properties’ feature. This special feature allows users to decide between properties that other users have also looked at. The easy-to-read table features a few categories that might make your choice a tad easier: guest rating, neighbourhood, and whether the hotel offers breakfast. Because we all know, breakfast is the most important meal of the day. Powered by Rideways, booking through Agoda Malaysia also offers you exclusive access to affordable and safe transport from the airport to the city centre. In certain countries, it may be difficult to flag down a taxi from the airport, which is usually in a less accessible area. Also, it leaves you susceptible to scams or horrible price mark-ups. Agoda Malaysia offers customers a car ‘for every budget and occasion’. For example, a standard car can sit up to 4 passengers, and carry a small to medium sized luggage. If you’re travelling in a bigger group, get the people carrier car instead, which is larger and sits 6-7 pax. For those looking to treat themselves and travel in luxury, they have executive car options as well, so you can roll up to your next business appointment from the airport in style. All bookings for the transport are to be made online on their website. However, if you face any issues, a 24-hour hotline is available. The minimum notice that Agoda x Rideways needs to confirm a booking depends on the car type and the location of the pick up and drop off. A 24 hour notice prior to pick up is recommended. However, in some locations, Agoda x Rideways has vehicles available to book up to 2 hours prior to the specified pick up time. Need a ride back to the airport after your holiday is over? Do remember to book a return trip if need be. Once you reach the confirmation page, Agoda will prompt you to book a return trip back to the same pick up location, the airport. Just let them know in advance, and you’re good to go! Do note that if you have to make a sudden change of plans, you are able to cancel your trip free of charge if it is within the free cancellation period. The duration of the free cancellation period is determined by the service which you have booked. Cancellations outside of the free cancellation period are non-refundable. Sharing is caring, and when you share Agoda with your friends, you get to earn credits too! Simply click on the Refer-a-Friend tab once you have registered for your Agoda account. After entering your friends’ email addresses, both of you will receive a 5% referral credits in the form of an Agoda gift card. Note that your friend has to click on the link that they receive in their email to receive the 5% coupon code, and they have to complete their first booking before the credits are awarded. Each user is entitled to a maximum of $100USD in referral Gift Cards. That can easily get you a good meal during your trip! Agoda promo codes are always available to get you some great savings. Especially if you have a CIMB or Maybank card, credit card promotions help to sweeten your holiday so do bookmark this page to check for the latest Agoda Maybank or Agoda CIMB promo codes! Whether you are travelling out of Malaysia or travelling to the next city, don't forget to check out Agoda Malaysia for Agoda-Penang deals, Agoda-Melaka deals and more! Be sure to apply the Agoda promo codes listed above before you make your booking.